Characters with courage draw admiration, because somewhere deep inside, we want to believe we too would show the same courage and fortitude when faced with a similar choice or situation. Shake things up by giving your hero an unlikable flaw that lessens his appeal, making him more realistic. Warrior and courage are not synonymous. Internal strength comes in all all shapes and sizes, so consider making your character someone who is not the best choice for what is ahead. Courage is to act despite fear, but every character has a breaking point. What’s your character’s, and how can they move past it to succeed? 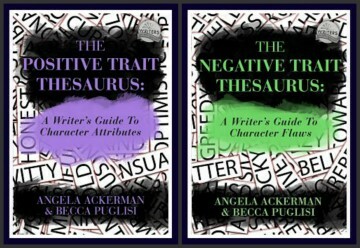 Becca Puglisi is an international speaker, writing coach, and bestselling author of The Emotion Thesaurus and its sequels. Her books are available in five languages, are sourced by US universities, and are used by novelists, screenwriters, editors, and psychologists around the world. She is passionate about learning and sharing her knowledge with others through her Writers Helping Writers blog and via One Stop For Writers—a powerhouse online library created to help writers elevate their storytelling. You can find Becca online at both of these spots, as well as on Facebook and Twitter. Frodo and Sam are the poster boys for courage. I think of the Pevensie children in the Chronicles of Narnia as courageous souls as well. Great choice for a picture!! Great advice! Thanks for the tip. It’s good to make your hero ‘human’ to avoid readers becoming bored with Captain Awesome. Great tips. Thanks for sharing them. I’m working on a courageous character but don’t want to make him too good. The positives of courage are inspiring. Thank you for this post, for it has instilled a sense of courage in me.